Light & Darkness Radio: Featured Today! "Star One, Sonata Arctica..."
Star One (Net) - Star One is a Dutch progressive metal side-project of Arjen Anthony Lucassen of Ayreon fame.Star One was born out of the remnants of an abandoned collaboration between Lucassen and Iron Maiden frontman Bruce Dickinson. Dickinson proposed the idea and the two exchanged ideas and put together four songs, Lucassen writing the music and Dickinson writing the lyrics. The project was abandoned however after Lucassen mentioned the project on the internet and Dickinson's manager called off negotiations. Instead of completely abandoning the material that had already been produced, Lucassen decided to put his own lyrics to the music and created Star One.In an interview conducted by Ragnarok Radio in October 2009 Arjen stated Star One is "definitely not dead." In October 2009 in another interview, with Lebmetal.com, Arjen said he was working on what might become another Star One album: "In the meantime I will be working on a new, heavier album. Possible a new Star One album, but then again things never work out the way I plan them", and in a November 2009 interview with Lagrossradio.com, Arjen stated that he was definitely working on a new Star One album and that he had already written and recorded a song.In March 2010, a "demo listening party" was held where several members of the arjenlucassen.com messageboard were allowed to listen to the first (only instrumental) demos for the new Star One album. In August of the same year, Arjen revealed the title of this second album, Victims of the Modern Age, and announced that it was ready. The album was released in October 2010. The music of Star One is heavier than that of Lucassen's progressive rock/metal opera project Ayreon, drawing influences from seventies space rock and blending them with modern progressive metal. Lucassen explained that the songwriting was different in that Star One songs are built on guitar riffs whereas Ayreon songs stem primarily off chord arrangements. However, similarities still exist mainly in the song arrangements, the multi-layered vocals, and the ambivilant usage of synthesizers and Hammond organs as part of the main instrumentation. Sonata Arctica (FIN) - Sonata Arctica are a Finnish power metal band from the town of Kemi, originally assembled in 1995. 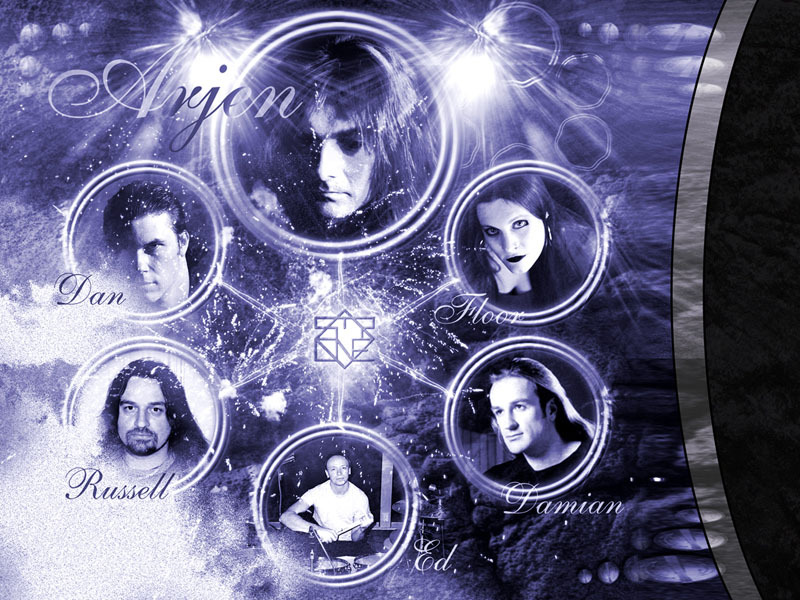 Their later works (most notably The Days of Grays, Unia and a few tracks on Reckoning Night) contain several elements typical of progressive metal. The band was founded by Marko Paasikoski, Jani Liimatainen and Tommy Portimo in Kemi at the end of 1995 (Tony Kakko and Pentti Peura joined in early 1996). Originally named Tricky Beans, they played hard rock rather than the power metal with which they grew to fame. During their early career, they recorded three demos which were never sent to any recording label — Friend 'till the End, Agre Pamppers and Peace Maker. In 1997 the band changed their name to Tricky Means, and from that point until 1999 their style was thoroughly worked upon and ultimately was drastically changed, acquiring strong emphasis on the keyboard melodies and relying on an easily distinguishable rhythm line maintained both by the bass and the guitar. Vocalist Tony Kakko developed a clean singing style which relies both on falsetto and tenor voices and second guitarist Marko Paasikoski left the band. Kakko has stated that the change of sound was influenced by fellow Finnish power metal band Stratovarius. In 1999 (after they changed their name to Sonata Arctica), the band recorded a demo entitled FullMoon in Kemi's Tico Tico Studios, which was their first real metal recording. The line-up consisted of vocalist and keyboardist Tony Kakko, guitarist Jani Liimatainen, bassist Janne Kivilahti and drummer Tommy Portimo. The demo was sent to Spinefarm Records by a friend of the band and a recording deal soon followed. Later that year, Sonata Arctica's first single, entitled UnOpened was released in Finland. It entered the Finnish Top 20 sales chart on the week of its release and, soon after, the band had closed deals with labels from around the world, prior to the release of their debut album. The debut Ecliptica arrived by the end of 1999 and had a worldwide release, obtaining rave critics from the specialized press. Tony Kakko then decided to focus on singing and began seeking a new keyboard player for Sonata Arctica; Mikko Härkin (ex-Kenziner) was eventually invited to fill the position. In the beginning of 2000, Sonata Arctica was chosen to support the well known power metal band Stratovarius throughout their European tour. Marko Paasikoski returned to the band to play bass in the wake of Janne Kivilahti's departure after the tour. From late 2000 to late 2001, the band worked on composing and recording their next album — Silence — which was released in June 2001. An extensive tour followed, which included concerts throughout Europe (together with Gamma Ray) and Japan. In 2002 Sonata Arctica made its first incursion to America, putting on shows in Brazil and Chile. According to some of the musicians from the band, it was one of their best tours to date — the other being the Japanese tour from 2003. A live album entitled Songs of Silence was also released that year, consisting of gigs from their tour in Japan. By the end of 2002, Mikko Härkin left the band due to personal reasons. Their third album — Winterheart's Guild — was recorded with the help of the seasoned keyboard player Jens Johansson from Stratovarius who recorded the keyboard solos, while Kakko took care of the basics. The album was released in 2003. In the search for another keyboardist, the band received many applications and two of them were invited for auditions. Since they were well aware of the candidates' ability, the band decided to pick the new member based on personality. To this end they spent a night drinking with each of the potentials in order to find out which one would fit best into the band's personality and mentality. Henrik Klingenberg was eventually chosen and joined the band in time to take part in the tour that followed the release of Winterheart's Guild. Most of the concerts on the tour were sold out. With the end of their contract with Spinefarm Records, the band received invitations from most European recording labels, and eventually opted for Nuclear Blast. In early 2004, the band was chosen as the opener for Iron Maiden's Japanese tour. Additionally, Tommy Portimo became a father; his wife gave birth to a baby girl in March. Reckoning Night was recorded in three months and released in October. Both the single and the EP of this release remained on the top of the Finnish charts simultaneously for over six weeks. 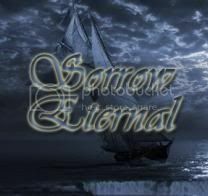 A promotional tour was to follow, but Sonata Arctica was invited by the popularNightwish to join their European tour, and thus made a change of plans. The concerts that followed were played for audiences of over ten thousand people. Fans took notice that Reckoning Night was more progressive than previous Sonata Arctica albums. At that time in interviews, Tony Kakko and Henrik Klingenberg began to claim that they saw themselves as more so just a rock band than Power Metal. Another notable feature about this album was that Henrik Klingenberg introduced use of the organ_(music) to the band. In early 2005, Nightwish invited the band to open the concerts of their North American tour. This tour eventually got cancelled, but the members of Sonata Arctica opted to still make a short tour, playing concerts in Canada and the USA. On October 21, 2005, Sonata Arctica opened for Nightwish at the Hartwall Areena, Helsinki. n 2006, the band released a live CD and DVD entitled For the Sake of Revenge, which was recorded in Tokyo in February 2005. Then, Spinefarm Records released a compilation album in order to get the most out of their contract with the band, since Sonata Arctica changed their recording label. The compilation is entitled The End of This Chapter and was released in Japan in August 2005 and in Europe on May 2006. A computer video game was also planned, based on Sonata Arctica characters and music. The name of the game was going to be Winterheart's Guild, like their album. The game was to be developed by Zelian Games, and was to be an Action-RPG in a style between Fallout and Diablo. The game was cancelled for unannounced reasons but a demo was shown at the Leipzig video game conference in 2006, featuring Henrik Klingenberg as the playable character. As of December 2006, the band began recording their fifth studio album. On May 25, 2007, Unia was released. The album's first single, "Paid In Full", was released on April 27, 2007. Interestingly, the cover for Unia features a barely perceptible image of a person's hair and eyes looking out through a crack in the background in the lower right-hand corner. It is likely an allusion to the person in the song "Caleb" on Unia. On August 6, 2007, the band announced on their website that guitarist Jani Liimatainen had been asked to leave the band due to problems related to his conscription. He was replaced by Elias Viljanen who had already filled in for him in the band's Finnish and Japanese shows during the spring and summer. In October 2007 Sonata Arctica headlined the ProgPower USA VIII. Later the band supported Nightwish across their 2008 tour of United States and Canada and headlined at the shows that Nightwish cancelled due to Anette Olzon's sudden severe sickness. In 2008 Tony Kakko collaborated with English Singer/Songwriter and arranger Mark Deeto perform choral arrangements of some of the band's works at a special one off concert at The Sage Centre in Gateshead. It was announced on September 4, 2008 that the band's first two albums would be re-released by Spinefarm UK on October 6. Sonata Arctica's latest album was released on September 16, 2009 in Finland and September 22 in the USA. Henrik stated that the new album will be in the same vein as Unia, but not as complex and darker. Singles from this album include "Flag in the Ground" and "The Last Amazing Grays". On August 28, 2009, the music video of "Flag In The Ground" was released to the web. The limited 2CD European edition of the album featured many of the album tracks with all instruments performed by a symphony orchestra. The band also recently toured with DragonForce for the third U.S. leg of the Ultra Beatdown tour, and will be touring the US "two or three times," as well as doing a European tour and Asian tour covering Indonesia, Taiwan, China, and Japan. In early 2010 they engaged on an Australian tour with Ensiferum and Melbourne band Vanishing Point. In April 2010, Sonata Arctica embarked on their USA and Canada Headlining tour for The Days of Grays. In October they headlined in Chile in support of the same album. In January 2011, the band hinted in an online interview for Metaleater magazine that they are currently writing songs for a new album while on their current tour. Elias is quoted as saying, "I've been working on some new riffs, quite dark. Tony's been stuck in his bed scratching notes about some girl and her 'Luna Lust'." Tommy states later, "We've just got back from Cozumel, we had a good time, had lots of beers, loads more sun and thought about putting a bit more Queen stuff back into the music again." While playing in Sheffield (UK) Tony stated to the audience that they were in fact hoping to start recording the new album this autumn and have it available for purchase before summer 2012. In April, the band recorded a live DVD in Oulu, Finland, due for release in late 2011.